Another great microbrewery, Flying Fish was founded in 1995 (which almost 20 years ago, damn I’m old) and brews out in “Dirty Jersey”. But their beer is anything but dirty, as it has won numerous awards since they began to add hops to water. I had the pleasure of trying the Grand Cru Winter Reserve for only$2 as the Fox & the Hound in Philadelphia does $2 for all their beers every Tuesday. Those Penn meddies would agree with me that it was a hit. Coming in at 6.9% alcohol, the Winter Reserve is a strong golden ale that has a warming effect until that last taste. As the beer exits the taste buds you get just a little shot of the crisp winter air. It’s a seasonal brew so you can only get this Belgian-style brew from November through February. Pair it up with a rich stew during the cold season and enjoy. A little hoppy, a little malty, but 100% fantastic. If any readers or tweeters have any advice on beers to spotlight, give my a shout. 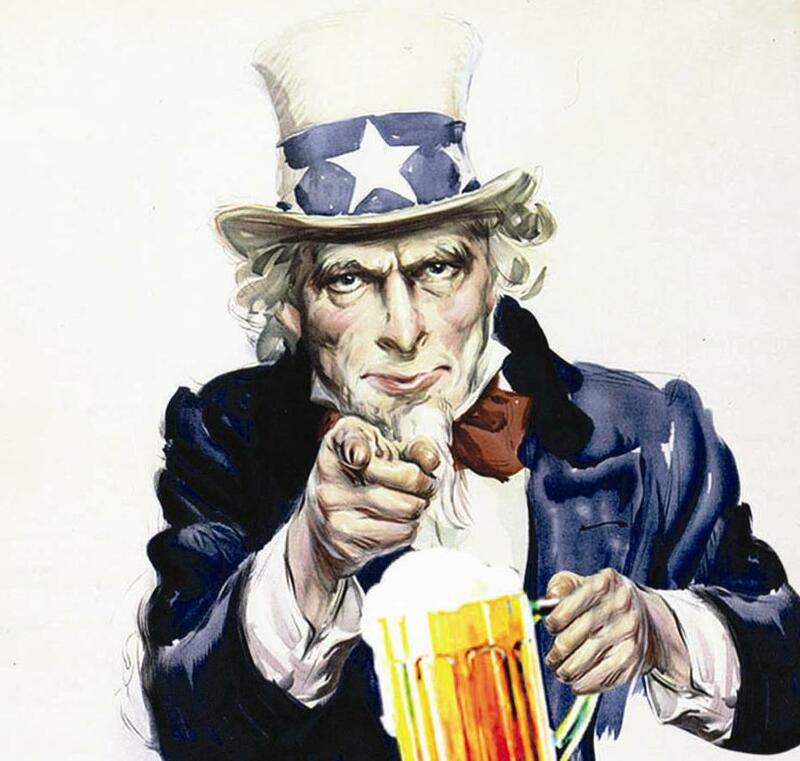 Remember, America was built on beer and don’t let anyone tell you differently.